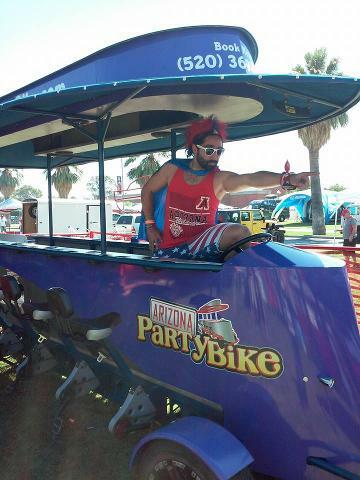 Save some cash by booking the whole Phoenix party bike. 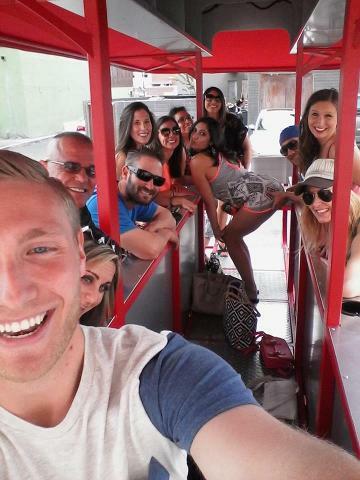 Two hour private party for up to 15 people — we provide the driver! Get exclusive drink specials when stopping at one of our partner pubs! Pedal to your favorite pubs or get personalized recommendations from your pilot. More than 15 people? 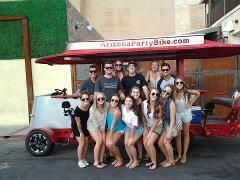 Check out our Scottsdale location for multi-bike rentals and discount! 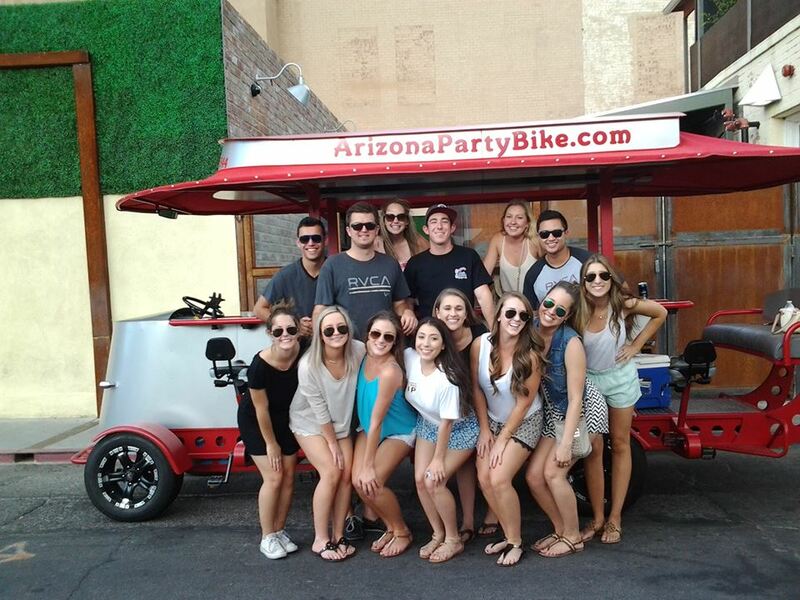 Save money with our most popular option, where groups of up to 15 people can book the entire party bike for a two hour fun-filled extravaganza in downtown Phoenix! 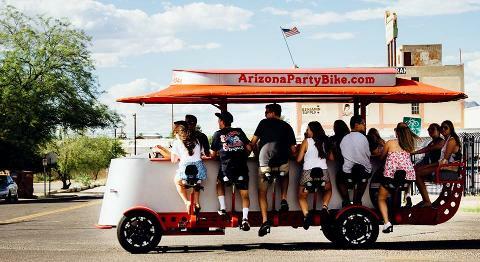 With a premium sound system, LED party lights, and electric assist motor, the 15-passenger party bike is like a pedal-powered party bus on steroids. And you can bring your own beer and wine on board to enjoy! Go on a pub crawl and stop at a few of your favorite watering holes, or let our guide show you all the cool spots for drinks and a bite to eat. 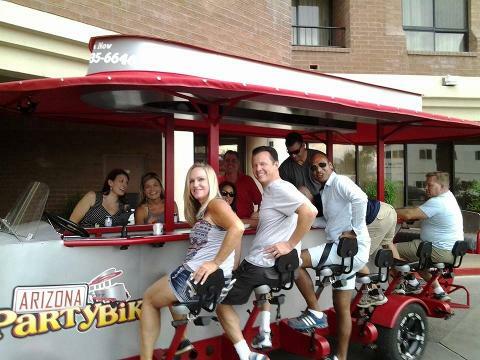 Talk with friends and woo at locals as you ride and drink through Phoenix's downtown entertainment areas in style! 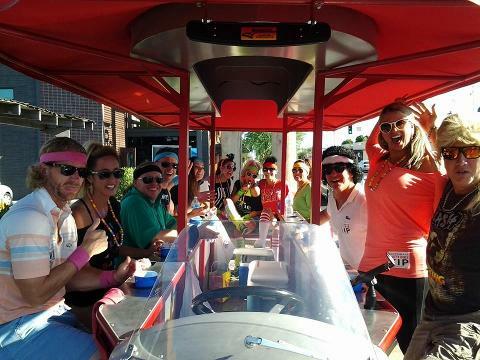 The private party option is perfect for any day or night out with friends, birthdays, bachelor and bachelorette parties, pub crawls, company team-building, celebrations or any other occasion. Have more than 15 people and need more than one bike? Check out our Scottsdale location! We have three bikes available there and can accommodate up to 45 people at one time! Give us a call at 844-654-5544 and ask about the 10% multi-bike discount in Scottsdale.